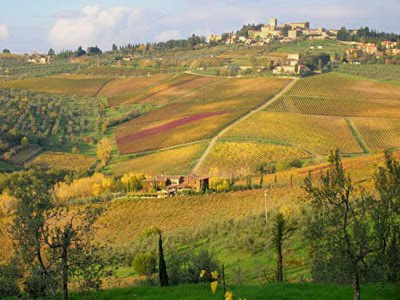 Brunello di Montalcino, unquestionably one of the great wines of the world, has seen its fair share of controversy, drama, and, of course, seriously great wines in the past year or so. Now, Brunello is in the news again, with the election of Ezio Rivella to be president of the Brunello consortium, the Consorzio del Vino Brunello di Montalcino. And while this may seem like a footnote to most consumers, it’s causing plenty of drama among the most passionate Brunello fans. I’ll be posting responses to Rivella’s election in the coming days and weeks, but as wine consumers, it’s a news story that, though it seems to be based in bureaucratic minutia, is likely to cause some serious discussion and debate. Details to follow as they become available. Just keep your antennae up for details and reactions as they filter in, and feel free to post links in the comments box as you find them. There’s hope, it seems, but California syrah has a way to go until it captures the significant market share it so richly deserves. Finally, a follow-up to my post the other day on 2009 German riesling: Make sure to take a look at Bruce Sanderson’s column on the 2009s from St.-Urbans-Hof, which is often responsible for some of the top rieslings in Germany, year after year. He reports that, like so many others have pointed out, the 2009s are generally excellent wines, and certainly worth picking up.